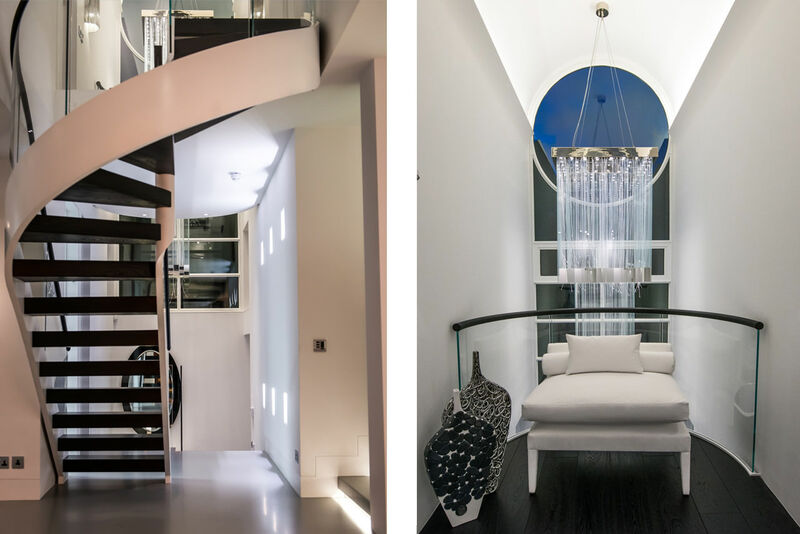 This intriguing staircase features a leather clad handrail with low iron glass balustrading that gives a pleasingly light aspect above the spray finished mild steel stringers. 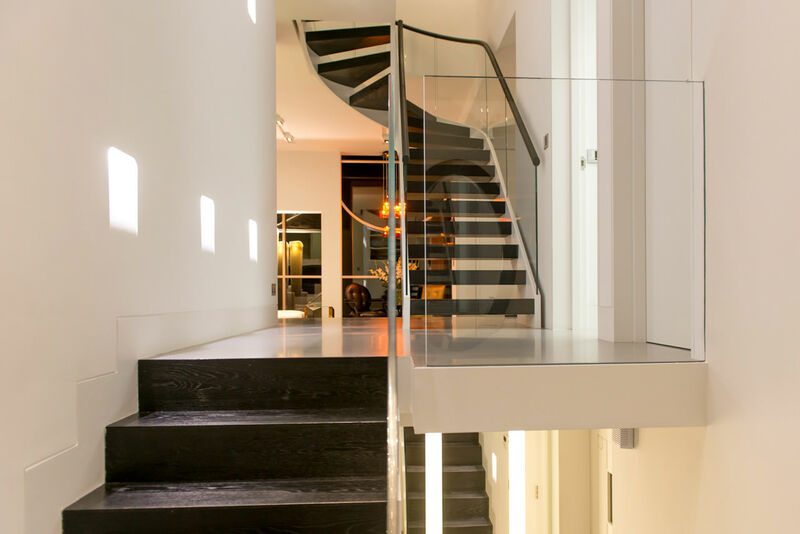 The stair includes an incredibly tight turn to the inner stringer to add impact and minimise the overall footprint of the stair. 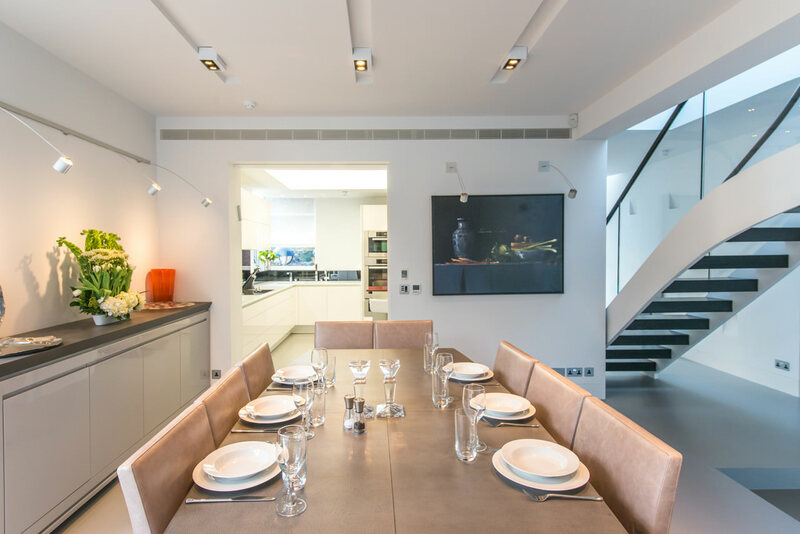 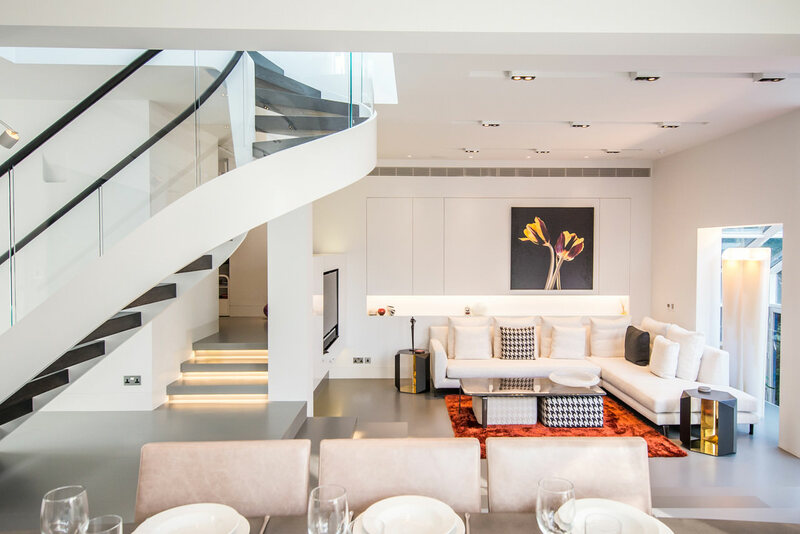 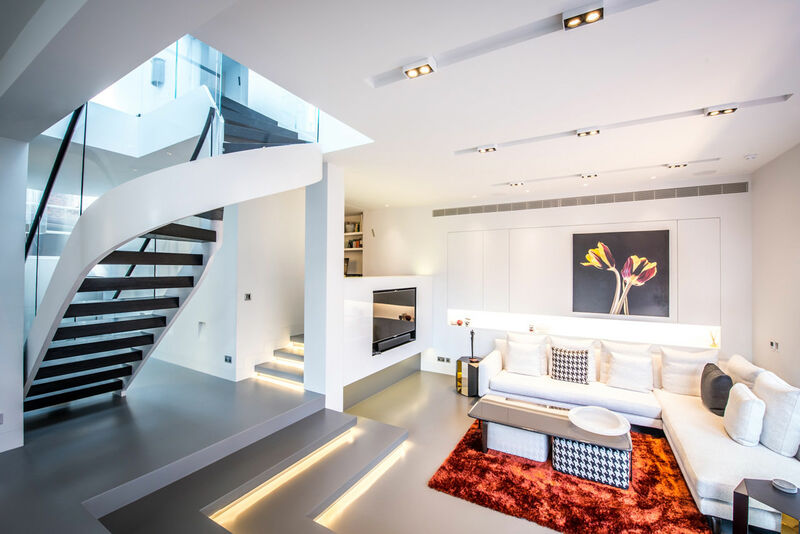 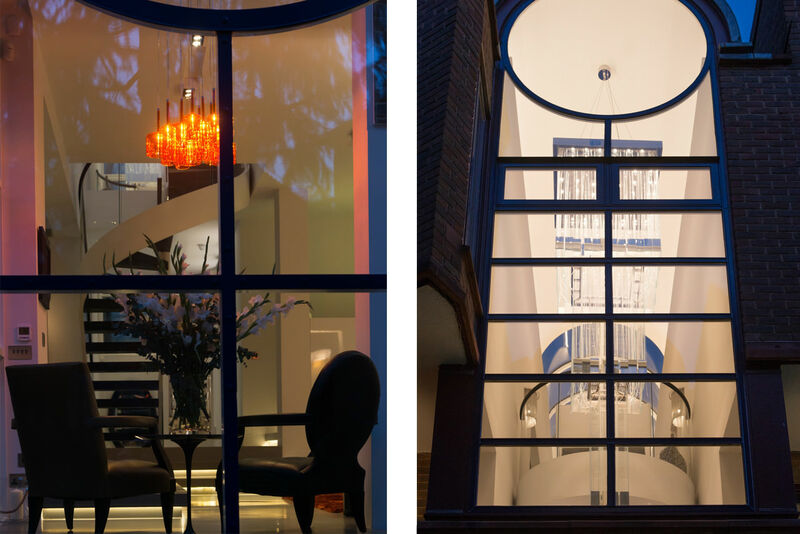 The generous hardwood treads lead you from a luxurious living area to the upper level of this stylish dwelling in London.